Bespoke would like to welcome new employee, Rob Pearce. 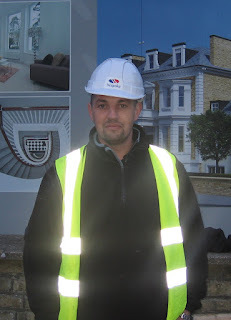 Rob is another welcome addition to our Construction Division and joins the team in the capacity of Site Manager. Coming from a joinery background, he has a wealth of experience in the industry and joins us from A&H Construction. Rob will be based at our £3m residential project in Richmond, where we intend to utilise his impressive skills over the coming months. We are delighted to have Rob on board and wish him every success in his new role with us.